Haysville Rental Center is an authorized Husqvarna Lawn & Garden sales and servicing dealer and offers a full range of their Lawn & Garden equipment such as Riding Mowers, Push Mowers, Rototillers, Overseeders, Dethatchers, String Trimmers, Aerators, Leaf Blowers, Pole Saws and Chain Saws. 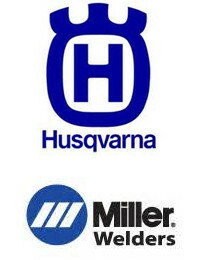 We are an authorized repair and warranty service center for Husqvarna Lawn and Garden equipment. In addition, we are a dealer for Husqvarna Construction Equipment. We are a Praxair distributor and can supply all your welding gases such as Oxygen, Argon, Acetylene, Helium, and Propane. We are your local source for Miller Welding equipment. We are also a dealer for the Subaru brand of Generators and Pumps. If you don’t see the equipment you want, give us a call and we’ll do our best to find it. We are your premier dealer for new equipment in Wichita Kansas, Derby KS, Clearwater, Wellington, & Haysville.